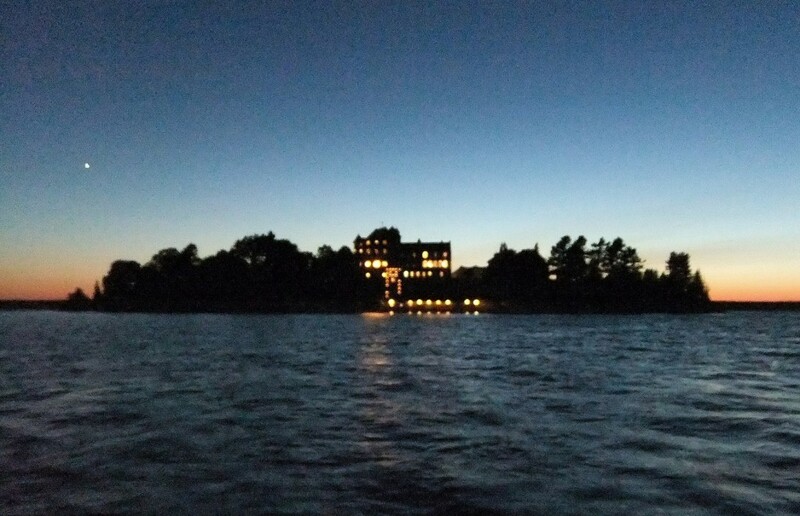 In the glory days of the Thousand Islands, over a century ago, the owners of cottages and grand mansions alike along the St. Lawrence River would string lights or hang coal lanterns over their homes, creating an otherworldly show. Boat tours carrying thrilled passengers would enjoy the display, and cast searchlights on the shores and islands of the river to heighten its impressive effect. 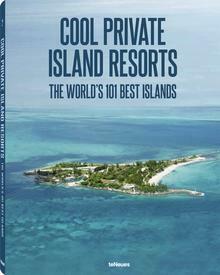 At a time when many local residents did not yet have electrical power, the glowing cluster of islands and shoreline mansions would have been a truly magical sight. 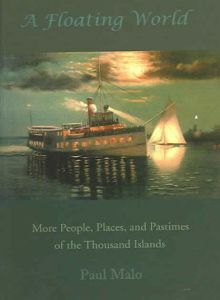 Fantastic accounts of the “searchlight tours” can be found in Paul Malo’s book, “A Floating World”, which is filled with vivid descriptions of the tightly-knit St. Lawrence community and its unique customs. Through historical accounts, storytelling and photographs, the late architect and professor painted a portrait of a place like no other, at least on this side of the Atlantic. “We live in a floating world, sometimes called ‘the Venice of America’,” he once wrote. This charming custom has now been brought back through the valiant efforts of Judy Keeler, a local historian who works with Singer Castle on Dark Island and the Cornwall Brothers’ Museum. To bring the light show into the modern era, Judy has spent countless hours getting the owners of private islands and shoreline homes on board with putting up lights and allowing their properties to be spot lit. The tour will be by one of the Uncle Sam boats, leaving at dusk on Tuesday, August 15th. Participants will be treated to a display that hasn’t been seen, in full effect, for at least a hundred years.